What would she ever do without it? After another long day of being ridiculed by Saix, Xion once again wept all night long on her precious bed, a gift from her favorite author, Stephanie Meyer. She weeped and weeped and weeped. Then moaned a little. She stroked the bed. The bed.... was the only thing that could understand her pain. It too was a TOOL. Xion sighed and stroked the soft cotton sheets of her bed, using the corners of them to wipe the tears from her eyes. "Oh, bed," she whispered, "I'm so glad you're always here for me. I know I can always count on you to be there for me, because I'm too sweet and caring and considerate to bother my friends with my silly little life. Even though they said I should come to them, I know it's better to shut them out and run away to you. They'll love me no matter what I do, so this is best for everyone." Then she curled up in the blankets and cried herself to sleep. It truly was a horrible day. Saix had nagged and berated her as often as he could today, because she had wet the bed. But how could she tell him that the soaked material-covered mattress were merely wet with her tears? No doubt he would call her useless, a tool, a mistake, the usual. "W-we tools.... must stick together," she whispered to the white sheets, grasping the flat pillow and bawling into the feather-stuffed cotton.... again. So the two spent the night together, like they had every night since fighting Riku. She knew it was wrong, and she always hated herself for it in the morning, but, being the glutton for punishment that she was, she continued this like a nightly ritual. The bed never complained, of course. Typical beds. You could trust them as far as you could throw them. Not that she's ever tried; she's much too weak, sometimes, from depression to even lift it, let alone throw it. Nevertheless, the bed was still always there to comfort her when all of her boy toys just weren't enough. "I know you...bed...because...I am you" Xion explained. She wasn't laying upon it...no, she simply stood, staring at it. Xion was different, her appearance was different to everyone. Xemnas entered the room, wondering why this tool was talking to the bed so much. He walked around, till he as able to see Xion's face looking at the bed. He didn't see Xion as the black haired girl Roxas saw, or the puppet Saix saw. 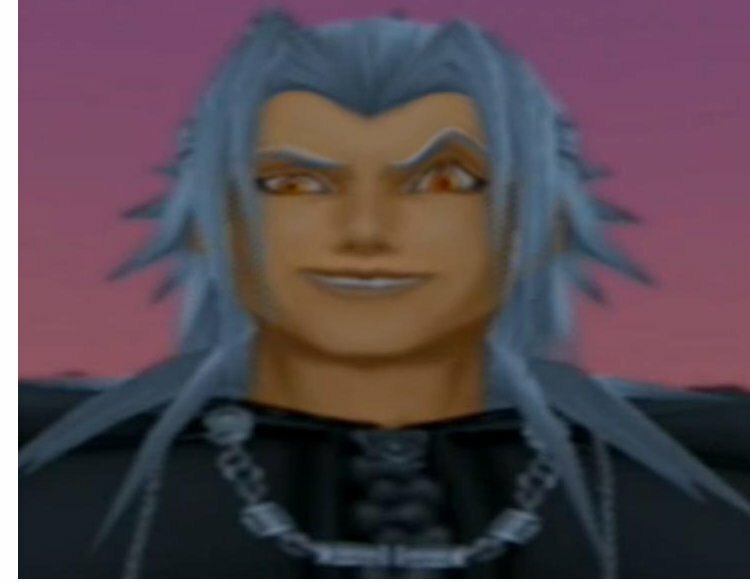 No, Xemnas's ambitions lay within finding out who he truly was, as well as acqurining Kingdom Hearts. Thus, he was able to see Xion's face as his own. He angled himself correctly, and saw how Xion was looking upon her bed. OHO. It is funny because they do have a room. Ooooh. It's such a cute pairing, too. We're already in a room! Now I have to draw Xion curled up on her bed... this in addition to an evil!Rin Kagamine pic. EDIT: We're all just here to celebrate a truly beautiful and wonderful couple. I mean, hey, as long as you can laugh good naturedly at our jokes--I mean, enjoy such a perfect and wonderful pairing--and still be a fan of her, that's just fine. Oh, boy, what have I started? lol.